Democratic critics of military seizures of power commonly refer to them as military coups. They adopt a very narrow and misleading conception of what is taking place. Likewise, human rights activists and progressive analysts who conceptualize the reign of violence which follows, a ‘coup’ as state terror fail to take account of the systemic forces – the capitalist social order and class relations – which determine the classes which wield state power. They ignore the specific classes and groups which are targeted and which classes direct and benefit from terror. Concepts like ‘state terror’ and ‘military coup’ obscure as much as enlighten. Moreover, the narrow focus on the military limits the political changes in the class structure required to avoid the repetition of the violent overthrow of democratic governments. We will also cite the empirical research of Professor Juan Carlos “Lito” Marin ,one of Argentina’s leading scholars on the violent overthrow of the elected government. His specialty was on the social relations and class context of the killing of 30,000 Argentines during the military dictatorship. We will especially draw on his statistical analysis of the victims found in his book (“Lucha de calles, lucha de clase’ – Street struggles, class struggle). According to the documentary evidence presented by the Argentine Central Bank, immediately after the military seized power, the leading manufacturers presented the military with a comprehensive list of all the trade union leaders, delegates and activists to be eliminated. In other words the capitalist class give the military their ‘marching orders’. They dictated who was to be arrested, tortured, killed and/or disappeared. The military executed the orders of the capitalist class – of the 30,000 Argentines who were murdered the vast majority were unarmed industrial workers involved in workplace industrial action. The Central Bank documents confirm the earlier detailed study of Professor Marin. He found that over eighty percent of the ‘disappeared’, the victims of the military regime, were trade unionists, urban neighborhood activists and rural organizers. Less than twenty percent were in any way affiliated with the urban or rural guerrillas. In other words it was not state terror in the abstract – but violent class struggle organized according to the priorities and demands of the capitalist class which accounted for the vast majority of killings. And the massacre set the stage for the second priority of the capitalist class, the introduction of the neo-liberal economy. The mass slaughter allowed the military to hand-over lucrative public enterprises to the capitalist class who proceeded to fire large number of employees without the problem of worker opposition. The intellectual authors and beneficiaries of the mass murder were not a band of power hungry military officials; but highly respectable leaders and upholders of the capitalist social order. In the run-up to the coup the capitalist class, for the better part of a decade, was engaged in a bitter class struggle with militant trade unions, which organized several successful general strikes in Cordoba (the ‘Cordobazo’, el ‘Viborazo’), Rosario, and greater Buenos Aires. The capitalist class set several tasks for the military, according to the Central Bank documents. First and foremost, the capitalist class demanded a comprehensive and violent purge of all levels of leaders of the working class, at work and in the neighborhoods. But the largest percentage of killings affected militant grass roots leaders, especially shop floor delegates. Secondly, the capitalists demanded the expropriation and dispossession of enterprises and farms owned by sectors of the nationalist, “Keynesian”, bourgeoisie and their handover to the neo-liberal business elite. This led to the concentration and centralization of ownership and capital. Among the beneficiaries was a powerful media conglomerate (the Clarin group) which served as a propaganda megaphone in favor of the dismantling of labor and social legislation and the privatization of public enterprises. Thirdly, the capitalist class demanded and secured the military purge of the judiciary, police and civil service of independent voices and the appointment of hard right officials. In other words the capitalist social order supported and directed the military seizure of government; dictated the transformation of state institutions and targeted the social class representatives to be eliminated. Subsequent to the so-called “transition to democracy”, when the military ceded governance to civilian electoral parties and politicians, the entire judicial, police and administrative structure organized to promote neoliberalism and defend the power, privileges and prerogatives of the capitalist class, remained intact. Even more important, up until the present, the capitalist class which actively participated in the identification, purge and murder of the vast majority of workers killed by the military, was never brought to trial. In some cases, the military executioners were tried for crimes against humanity, and in Argentina (but not elsewhere), some were jailed. The social order, the capitalist system, which presided over mass murder was never called into question. The whole issue of class violence was reduced to an issue of “human rights” violations committed by the military elite. The larger context of class conflict and class struggle, which precipitated the violent seizure of power which culminated in mass murder was obfuscated. The key to understanding why the capitalist class prospered during the dictatorship and escaped any punishment and prosecution afterwards is found in the fact that the vast majority of worker and community leaders who would have led the majority in the quest for justice were murdered. In other words the capitalist class’s violent political power grab and mass murder ensured the growth of profits and the consolidation of growth during the military regime, and the obfuscation of their role in the mass killings secured their illicit property grab and wealth with the restoration of electoral politics. Labeling the violent seizure of power as a military coup is to adopt a one-dimensional view . Instead, if we examine the coup as an integral element of the internal dynamics of the class struggle, which allowed the capitalist class to deepen and extend its power, we have a fuller understanding of its deeper meaning. The continuation of capitalist power within the electoral political system allowed the bourgeoisie to continue organizing and promoting profoundly anti-democratic, anti-working class activity. Not all military coups or reigns of state terror are linked to class struggle between capitalists and workers. Even in Argentina, the coup served to resolve intra-capitalist conflicts between neo-liberal and nationalist-protectionist business elites. In Africa, Asia and in nineteenth and early twentieth century Latin America, military coups were largely elite shifts in power. However, with the growth and emergence of capitalist class relations and class conflict, the military’s role as an autonomous force diminished, as it became integrated and subordinated to the emerging capitalist order. By the middle of the twentieth century onward, especially as class conflict intensified and class polarization deepened, the military coup became a strategic weapon of the capitalist class to advance its class interests. This was especially the case where they could no longer retain their profits and prerogatives in a democratic electoral framework. In other words as capitalism expands and defines the nature of the social order, the military coup is redefined as capitalist coup; and state violence deepens and expands to encompass larger sectors of the working population. 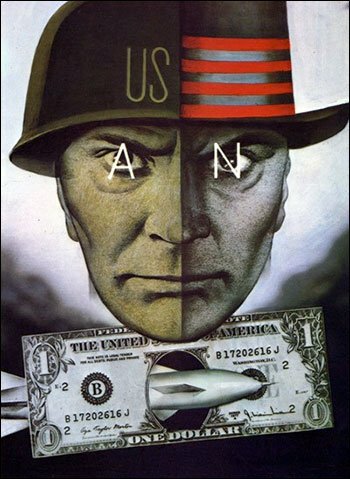 In each and every capitalist coup and in each example of organized state terror, the US imperial state is directly involved at the behest and on behalf of the capitalist class – be they multi-national corporations or banks. The US imperial state coordinates with their multinational corporations and the Latin American capitalist class the objects and targets of the capitalist coup as well as the composition of the post-coup regime. The US military influenced the political timing of the Argentine coup – as a former US military official operating out of the Argentine embassy once told me. The US CIA compiled lists of working class and social activist to be targeted (murdered) in Chile after the 1973 coup, especially of those employed by US multi-nationals, as was revealed by US Senator Church’s Congressional investigation between 1974-76. In other words, the capitalist coup and terror state has a strategic international character. It is also an integral part of imperialist conquest and anti-imperialist struggles. The class struggle and the anti-imperialist struggles are two sides of the same process.